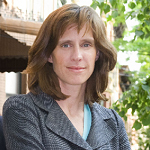 Dawn Zimmer served as mayor of Hoboken from 2009 to 2017. Under her leadership, Hoboken won $230 million from the federal Rebuild by Design competition for a comprehensive four-part water management strategy to protect Hoboken against impacts of climate change. She also created three new resiliency parks with green infrastructure to protect from flash flooding. She served as co-chair of Governor Murphy’s Urban and Regional Growth Transition Committee, and was a member of President Obama’s Hurricane Sandy Rebuilding Task Force and State, Local, and Tribal Leaders Task Force on Climate Preparedness and Resilience. Mayor Zimmer now works for Schneider Electric’s Energy and Sustainability Services, helping communities and wastewater treatment facilities leverage energy savings for reinvestment in critical infrastructure upgrades without affecting rate- or taxpayers.